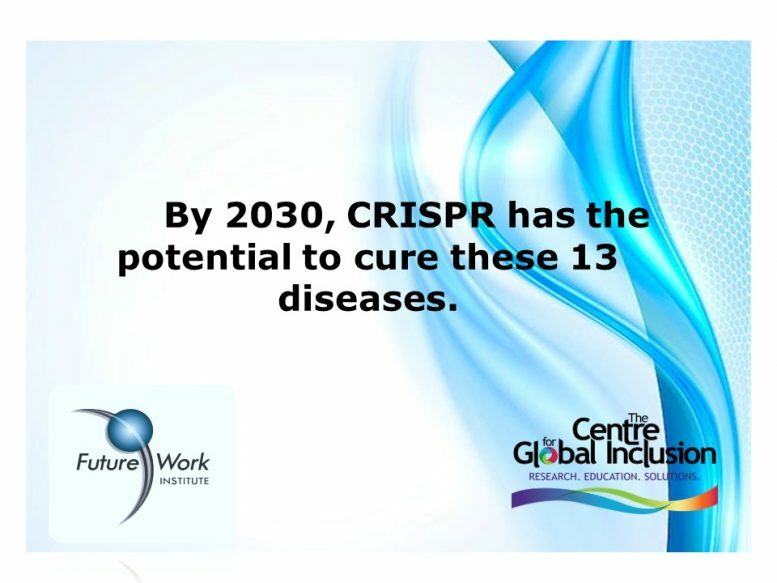 As we pointed out in earlier 2030 Trend emails, CRISPR-Cas9 mediated gene therapies are poised to revolutionize medicine. Using the CRISPR system, researchers can precisely edit any target DNA locus – a feat that was not achievable using other gene editing tools. The possibility to edit a disease mutation to correct genetic errors creates opportunities for treating conditions that have long eluded the medical research community. Researchers are developing CRISPR-Cas9 mediated therapies for a wide range of diseases, including inherited eye diseases, neurodegenerative conditions such as Alzheimer’s and Huntington’s disorders, and non-inherited diseases such as cancer and HIV. In fact, CRISPR human trials have already been planned for blood disorders such as sickle cell anemia and beta thalassemia.